Maintaining productivity throughout the duration of your project is key to ensure that your project is successfully delivered on time. There are many elements that might hinder productivity or demotivate your team members. The following productivity techniques will help you and your team stay on track. Writing your to-do’s of the day is important. Always take about 15-20 minutes before starting the day to establish “what needs to be achieved today”, and make sure that your teammates do the same. Remember also that it’s more important to write specific goals and not ambiguous objectives. What do we mean by this? For example, if one of your tasks relates to research, create specific metrics within the task. Instead of writing “Research Competitors”, establish a clear guideline on what you need to achieve. “Research Competitor X, Y and Z based on their sales for the first quarter” allows you or your team members to hyper-focus on the information that really matters. You can read more about how to create smart goals here. While checking your email is important, it can be tedious and time-consuming, not to mention distracting. The same goes for social media. It’s best to have your team members close all social media and email activity during productive times. It is also important to allow them to check these resources periodically. Thus, create small buffer zones where your team has the opportunity to check their accounts without the fear of retribution. However, when it’s time to work… let them focus on work. 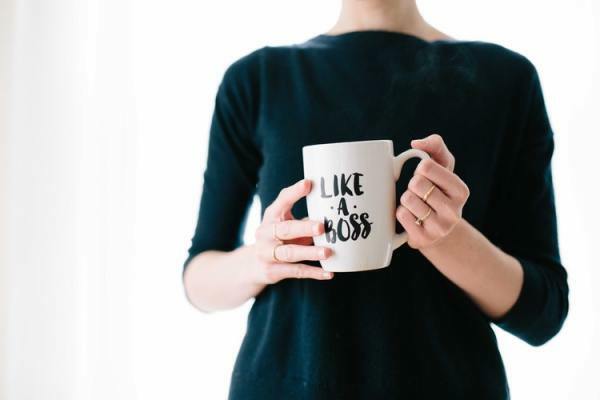 Perhaps every hour you can give your team members a period of five to ten minutes to check their emails and social media accounts (relating to work of course), and once the time has gone, to let them set it aside and focus on the tasks at hand. 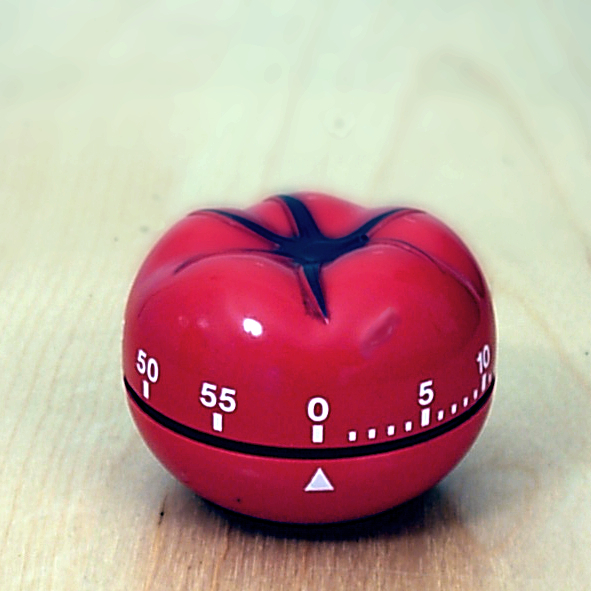 The Pomodoro technique is a method used to keep people focused on any given task. The essence of the technique is quite simple. Using timers, the user will set a time limit of 25 minutes per task. During the 25 minutes, the user will focus solely on that one task until the time runs out. Once the time runs out, the participant will take a five-minute break. The team member will implement 4 Pomodoro(s) before having the ability to take a 15 min – 30 min break. While it might seem complicated, the Pomodoro technique will allow your team to focus on a singular task, allowing them to remove all distractions and speeding up performance. This is a habit building technique that gets better over time. ‘Pomodoro’ is the Italian word for tomato, in fact the name of this technique comes from the tomato-shaped kitchen timer that its creator, Francesco Cirillo, used when he was a student. If a task can be done in 2 minutes or less, well, don’t put it off! Throughout the day, minor tasks will appear on your schedule. Instead of contemplating whether you should put off these minor tasks, if it would take you less than 2 minutes to complete it, just do it. If it will take longer than 2 minutes, then simply add it to your task list, and prioritise your to-do list using the Eisenhower matrix (see below). During a standard working day, we usually have a lot of things to do. Some are very important, many are just trivial tasks. What should be done first? How should I schedule my tasks for the day or for the week? 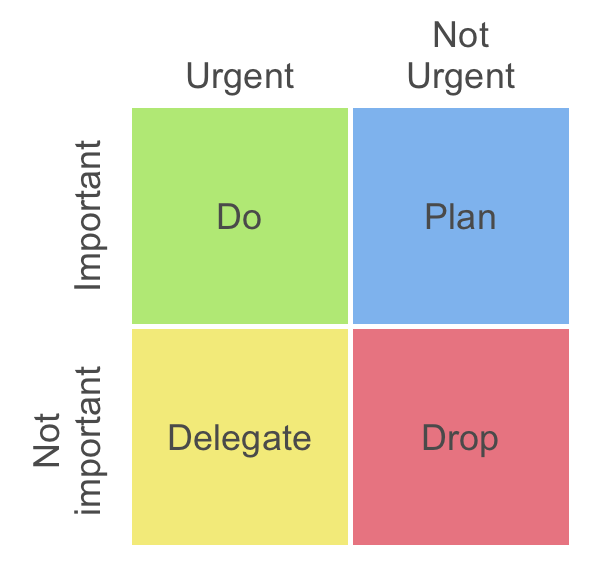 According to the popular Eisenhower matrix, you should categorise your tasks using two dimensions: important/not important and urgent/not urgent. Important AND urgent tasks should be done first, but you should always set aside some time for the important but not urgent tasks. Automation is a tool that can speed up productivity by removing tedious tasks on your to-do list. For instance, certain email responses, follow up texts and the likes are all necessary, but also time-consuming. There are numerous automation tools available these days that can take care of these tasks for you. The initial set up will take some time to make it sound ‘natural’, however, once you have automated the tedious tasks that don’t require human interaction, you will shave off needed minutes of productivity throughout the day. 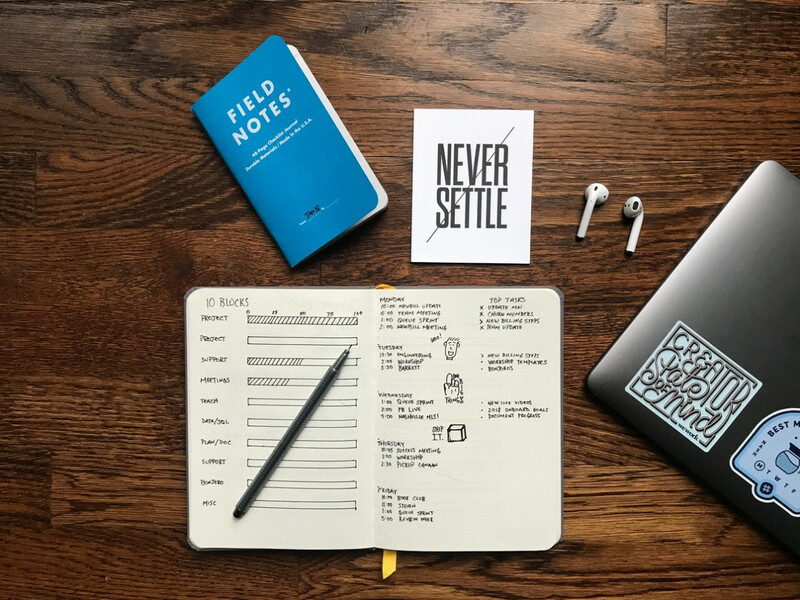 The above mentioned techniques are tried and tested, however I’m sure there are many other different ways to be productive. Which are your favourite ways of bringing focus, clarity, and productivity to your team? Write us a line at hello@mindiply.com and let us know!